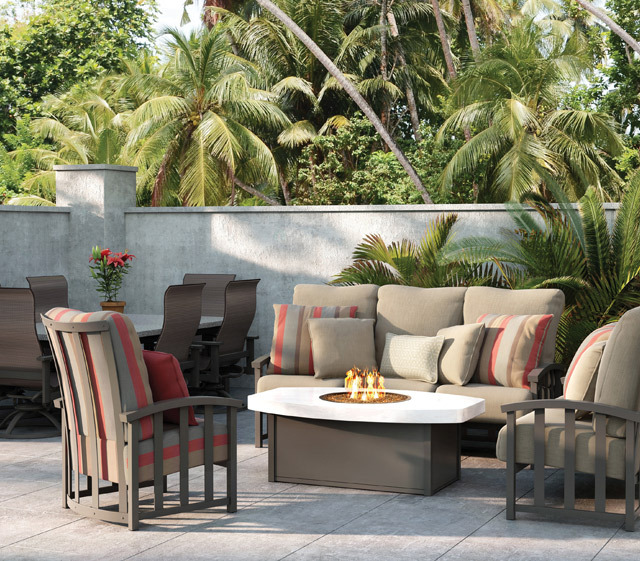 Sturdy, durable outdoor furniture with a long lifespan is more appealing than "disposable" furniture meant to last only a few seasons. 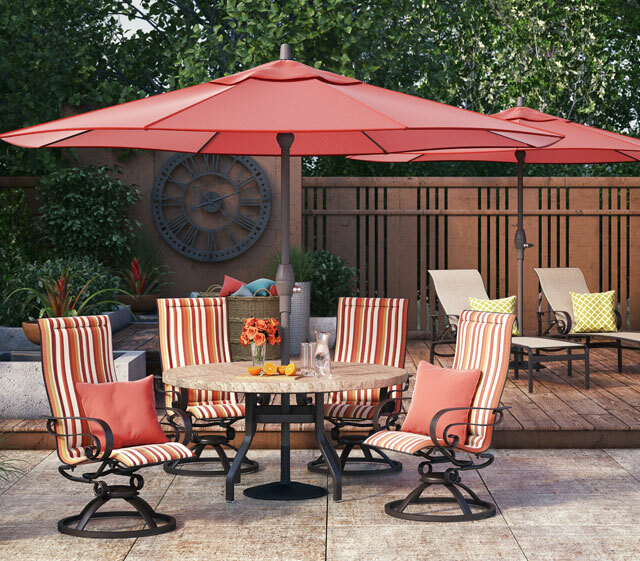 Just ask around, customers are well aware of the longevity of their USA made outdoor furniture. Many customers still have American made casual furniture that is over 30 years old, and are still using it with great satisfaction. Why? 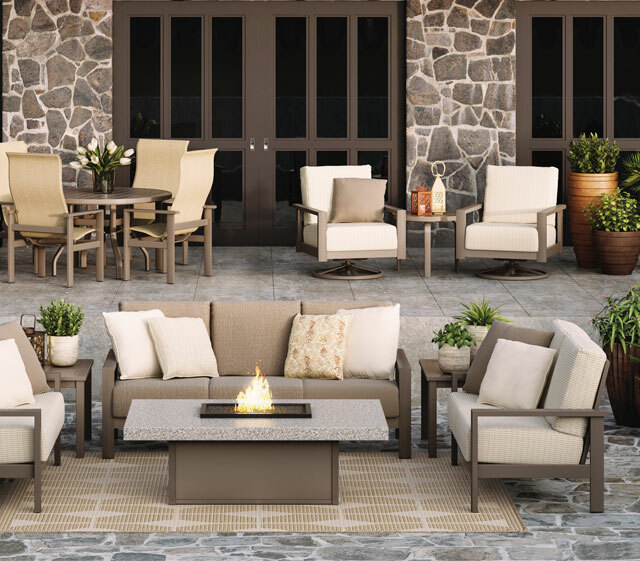 because the frames are made to last and replacement slings and cushions are available to purchase extending the life or upgrading the look of the furniture. Their Aluminum and Steel frames go through an extensive cleaning process that cleans the raw material from any foreign debris and prepares the surface of the frame for quality adhesion for the next finishing step. Aluminum goes through a 6-step cleaning process and steel goes through a 11-step cleaning process. After being cleaned their Steel frames are submerged in an Aquence Autodeposition primer and then baked on with the Aluminum frames needing no primer. Then both frame types receive their final baked on polyester power coated finish, which provides a durable finish that carries a 5 year warranty (residential and commercial) against peeling, flaking or blistering. Pick the collection that best meets your needs, then pick the color of your frame and last the fabric or sling that matches. We are here to help out anyway we can to help you decide what is best. You have quick ship options available if you need your order quicker. Questions come by or call us. Your USA made casual furniture is never ready to be tossed aside. They have replacement slings and cushions to fit all their furniture. So whether you are updating your look with new slings or simply need to replace your old ones Homecrest has you covered.